brought down by swans, aviation bosses have warned. business airport, used by almost 8,000 passengers a day. “relocation programme” to reduce the risk. warned that if the programme fails, a cull may be needed. to “unmanageable levels” in recent months. environmental organisations, Newham Council and the Civil Aviation Authority. We would like to thank all of the parties involved in this operation. – Flock of Swans in the London City Airport Crash zone – London City Airport admit swans pose a significant risk of bird-strike. – Airport tells residents a single swan can bring down a plane. 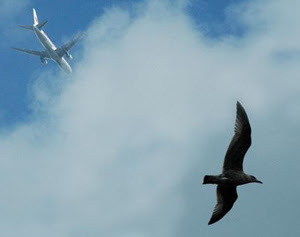 bird-strike and potentially putting passengers and the public in severe danger. as the Crash Zone – which itself already has a heightened risk of an accident. has continued to operate flights potentially risking both passengers and the public. have implied that the swans may have to be culled. at risk with the knowledge that the swans could bring down a plane on top of them. (2) LCACC in April informed of the risk. Posted: Thursday, June 9th, 2011. Filed in News about Airports.